Between Gate City and Nickelsville, in Southwest Virginia, we ran across an old abandoned country store with several gas pumps displayed outside. This one’s a gem. The Rapidayton Flite-Fuel pump. Price per gallon: a little over 35 cents. My kinda pump! 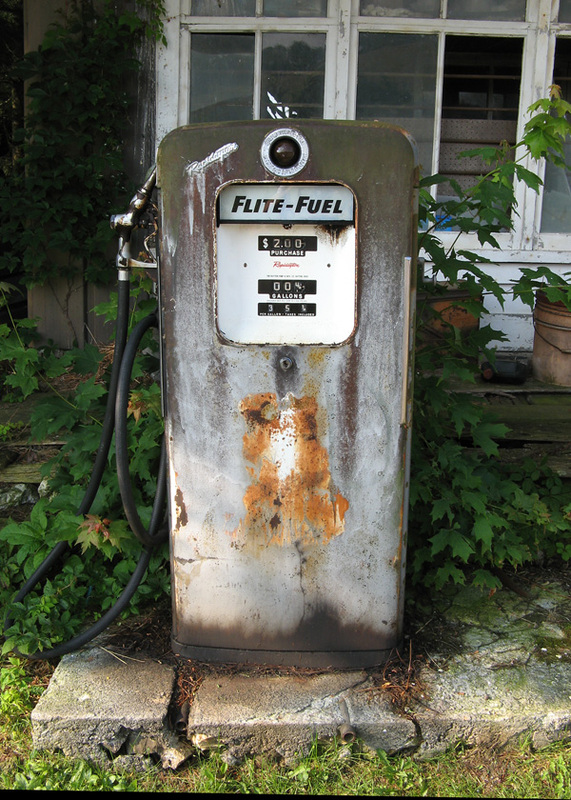 Posted in Uncle Bob's Pix and tagged flite-fuel, gas pump, southwest virginia. Bookmark the permalink. Wow Bob, You should really draw this one! It is great!